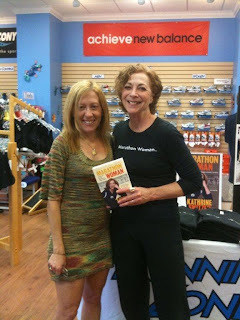 Cindy Runs: I'm running with Kathrine Switzer! 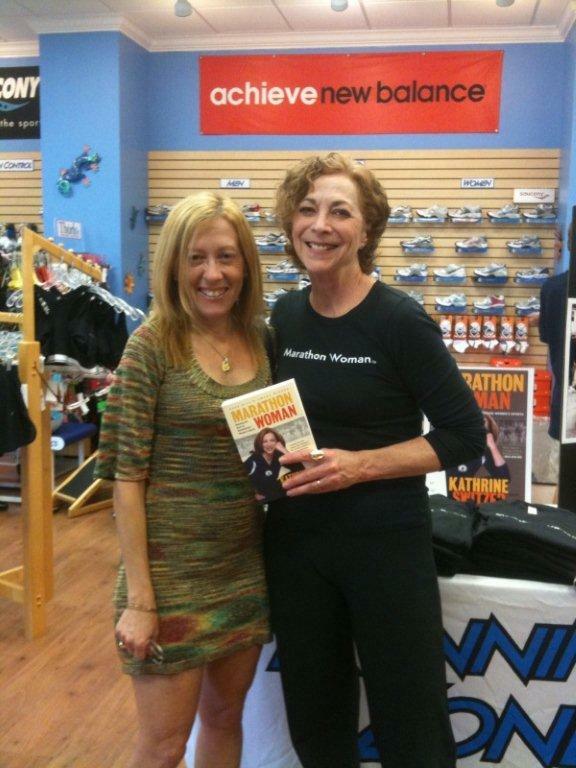 I'm running with Kathrine Switzer! I have had several friends say to me, "you're going to run the Berlin Marathon by yourself?" I just smile and nod my head. I guess what they mean is I am flying out to Germany by myself (that's a first, I've never been to a foreign country alone before!) But once I get to Berlin, I will be surrounded by my kind. There's 40,000 of us who will run the Berlin Marathon on September 25. I'm the oldest of the 10 Cindys (including the alliteratively named Cindy Gindi from New York) who will be running. Well, not all of us are running. Two of the Cindys will be participating in the in line skating portion of the marathon. That's the thing about Berlin - it's a marathon like the other 4 US marathons I've run, but many things about it are slightly different, such as having skaters complete the 26.2 miles. Oh, that's another difference, it will be measured in kilometers, which has this math challenged Cindy nervous. I know 42 point something kilometers equals roughly 26.2 miles, but I can't do the math while I'm running. Hopefully my Garmin watch will still calculate the miles in, well, miles, and I will know how to pace myself. Other differences include showers and alcohol free beer at the finish line (not sure in which order) and weird food handed out at various kilometer points. I'm imagining bratwurst, beer WITH alcohol, dumplings... all bets are off for trying to guess what we will be served during this international marathon. Anyway, back to who is running. There will be 2 other Bishops, both from the UK. Alexandra Oppenheimer will be skating the marathon, and there is a guy with the last name of Oppenhaim running. He can't use the excuse that one of his ancestors had the family name changed back at Ellis Island since he is from Israel. And there are at least a dozen runners (no skaters in this group) who are from all corners of the world (North America, Europe, Asia) who are between 90-91 years old. How cool is that? (2:15:25) will be running Berlin and trying to smash their records. Lots of other super fast world class athletes will be running this World Marathon Major super flat and fast course. And then there's Kathrine Switzer. She is the woman who broke the no women allowed barrier at the Boston Marathon back in 1967, was instrumental in getting the Olympics to accept women as capable of running a marathon back in 1984, and then is spending her life getting women involved in running and fitness. I just found out (on a German website!) that Kathrine will be appearing at the expo and running Berlin. I met her back in '09 when she was a speaker at the Space Coast Marathon, and was impressed with her and her passion for women in athletics. I hope to be able to see her again at the Expo - or out on the streets in Berlin. I'm psyched, nervous, and excited about this adventure in Germany. A week away, the weather looks fantastic. Soon it will be me, along with other Cindys, Bishops, Oppenheimers, 90 somethings and many elites running Germany's Berlin Marathon. I can't wait!! !